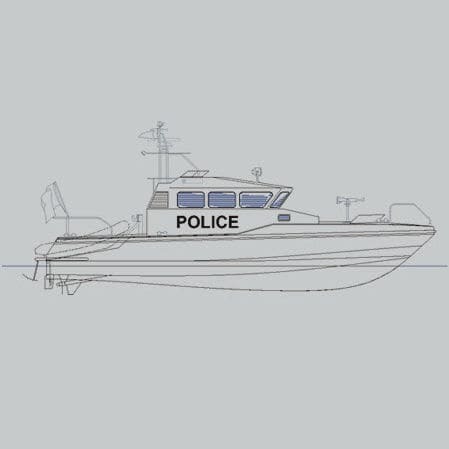 Raidco Marine offers a comprehensive range of Patrol Boats for State action at sea. They integrate the double-chine deep-V hull design principle and are capable of reaching high chase speeds. These hulls combine the proven qualities of excellent sea-keeping and outstanding comfort, as tried and tested by numerous vessels navigating on all the world’s seas. Their wide radius of autonomy makes them highly efficient in their role of patrolling.